Rediff.com » Movies » A *perfect* gift for Aamir? A *perfect* gift for Aamir? Bollywood’s Star Wars, Daredevil-binge, Garam Dharam and other happenings from Sukanya Verma's super filmi week! Birthdays galore, brouhaha over Bollywood’s most unexpected war, a brilliant Friday with the Kapoor & Sons topped off by binging on The Devil of Hell’s Kitchen, this entertainment junkie can hardly complain. It’s Sir Michael Caine’s 83rd birthday! What a life, what a legend! He’s exceptional in front of the camera but after reading his witty and wisdom-rich Acting in Film: An Actor’s Take on Moviemaking, you get an exciting glimpse into the man and his mind too. It’s not just a must-read for aspirants but anyone curious about film and all that goes in its making. The quick read guide brims with the Sleuth star’s characteristic candour. 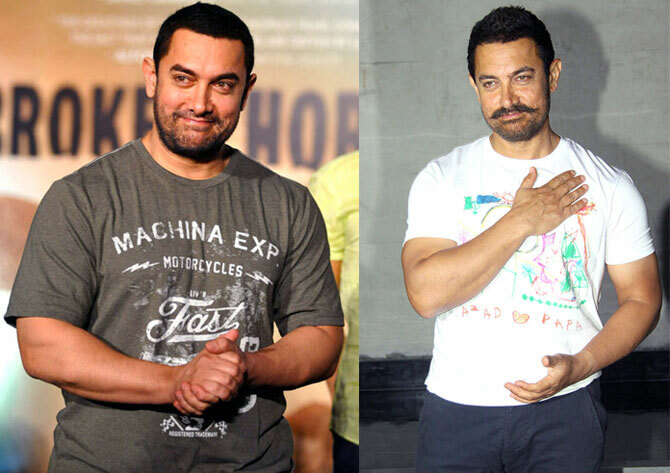 Did you know that Aamir Khan shares his birthday with Caine? His book would make an excellent gift for the Dangal actor, I say to myself while gazing at photographs of his 51st birthday celebration where he’s sporting an adorable T-shirt featuring son Azad’s vibrant doodles. Also, the man’s lost SO MUCH weight. 'To be a movie star, you have to invent yourself,' Caine’s words ring true once again. But then the new and never-ending Baaghi trailer appears on the web. Save the date for Tiger Shroff’s unrealistically sculptured physique and Shraddha Kapoor’s death by dialogue delivery proficiency. So satisfying to see her advance from a Poo clone to a silver screen fairy creating magic out of scenes even when she’s only laughing her head off like a loon. And then there’s the Hrithik Roshan-Kangana Ranaut fracas. Surprise aside, I don’t really have an opinion on it nor am I taking any sides. What happens between two people is exclusive to them alone. Everything outside it is either a version or speculation. I only wish the people involved here realise that no one gives a damn -- others will pass judgement, make jokes or superficially outrage and happily move on. I am upset, tired and hungry. Half my day squandered in sorting out some bank-related issues and nothing’s resolved. I take comfort in Energee and Jalwa, nothing like a nostalgia-triggering beverage and Bollywood to drive the blues away. There’s a teenager Cyrus Broacha, a cutely chatty Archana Puran Singh sipping on Frooti (in it’s original green square box packaging), Doordarshan newsreader Tejeshwar Singh playing the main baddie DD, Remo’s infectious crooning of the title track and Naseer’s dashing cop to drug-plagued Goa’s rescue. I am watching the Pankaj Parashar-helmed super-hit after decades. When I first saw Jalwa, I was a school-going kid. I hadn’t heard of its Hollywood source Beverly Hills Cop. All I know is that it put me off beaches for a while. What a weird reaction, right? There’s a sequence -- spoiler alert -- a sinister Dalip Tahil rudely bumps off comedian Johnny Lever in a stunning sunset chase. I found it extremely disturbing. Of all the people, one doesn’t expect Johnny Lever to face such a fate in movies. If this could happen to him, I wouldn’t be spared either, assumed my childish logic. To my great relief, I don't find anything remotely unsettling about the (still terrific) scene anymore. While working on my new Classics column, where I regularly revisit old interesting movies, I realise the extent of my OCD. I am watching Basu Chatterjee’s Priyatama. 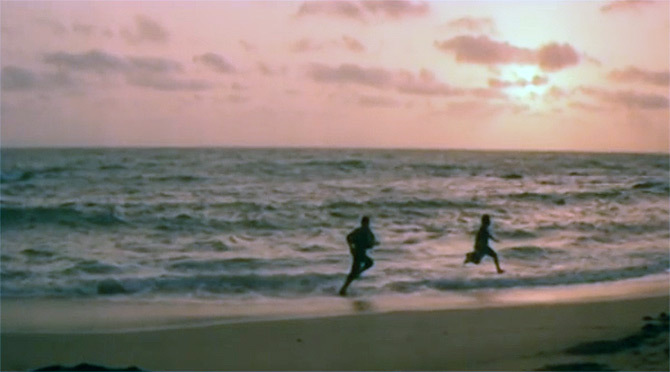 In its opening shot, Neetu Singh is shown listening to music. Now she’s lying on the ground holding a record whose cover I can barely see in the grainy print and fleeting shot. This desire to identify the name of the album is all consuming. It’s completely inconsequential to my story but I just HAVE to know. I fancy myself to be one of those tech geeks in crime-based serials, zooming stuff on their screen till they’ve found something useful. I follow my instinct. I study the profile. I notice the orange. I examine the hair. It’s Dev Anand, of course! The girl I am not so sure about. But the fashion is clearly seventies. So I look for the LP cover of every single Dev Anand release from 1970 onwards till I nail it. The answer, ladies and gentleman, is Yeh Gulistan Hamara starring Dev Saab and Sharmila Tagore. Hard work never fails! It’s time to meet Kapoor & Sons. And my review -- Kapoor & Sons is an absorbing layered family drama -- amply states that I have come out enchanted. Airlift, Neerja, Aligarh and now this, I love 2016 already. Every film so refreshingly unique in its theme and deftly done. At the theatre, I notice Ki & Ka signs marked outside the men’s’ and ladies’ washrooms respectively. No doubt it’s a clever gimmick. Now curious to find out if the Kapoor (Arjun and Kareena) rom-com about role reversals is as quick-witted. Speaking of Kapoors, the most charming of them all -- Shashi Kapoor -- turns 78. Our very own Aseem Chhabra has come out with his biography The Householder, The Star scheduled to release soon. Can’t wait to get my signed copy! The day I purchased a Netflix account for is finally here -- Daredevil’s season two is back with a Bang. No really, that’s the name of its first episode. Vincent D’Onofrio’s Wilson Fisk left for some massive bad guy shoes to fill. 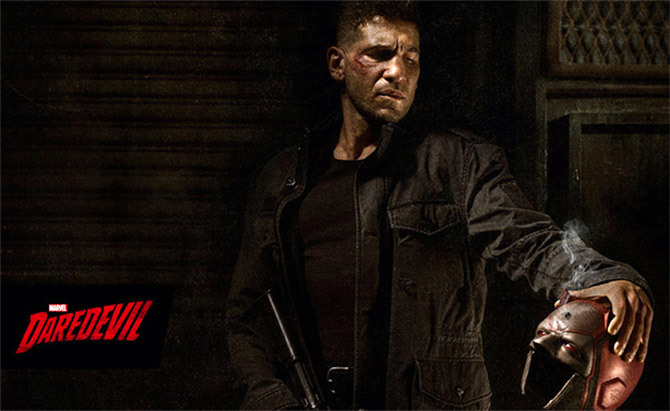 But Jon Bernthal’s Punisher is no less spectacular. He’s this lethal mix of Liam Neeson and Tom Hardy. Sadly, I am not so gung ho about Elodie Yung as Elektra. She has tough moves and looks closer to the comics but so monotonous in her expressions. I am only half way done with the binging. Maybe I’ll feel differently about her when I am through? 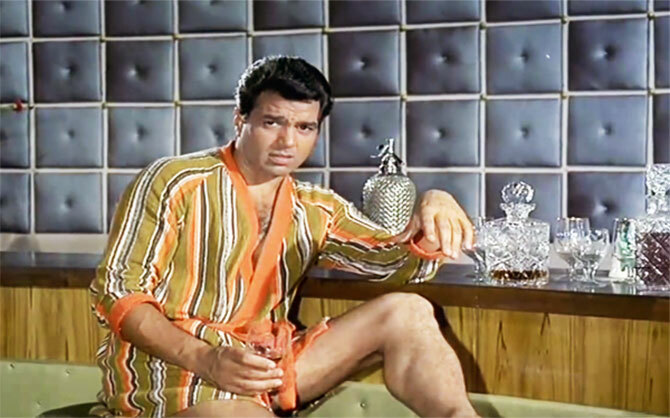 What I saw: A whisky-glugging, hip-flashing, racy Dharmendra probably rehearsing for 'Khoob jamega rang jab mil baithenge teen yaar, Aap, Mein aur Bagpiper' in the distant future? Sonakshi, Salman, Sonam's Holi pictures!